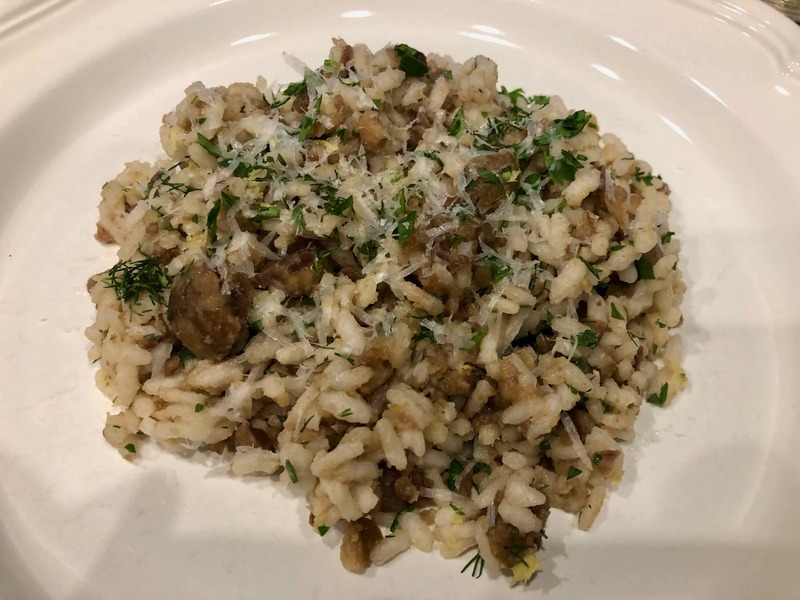 The recipe was for a Sicilian dish, rice with chestnuts, or risu chi castagni. 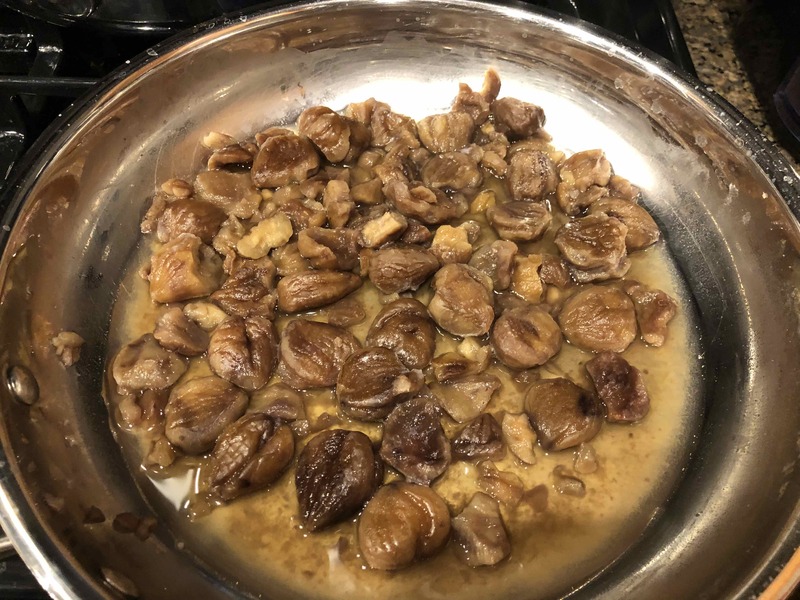 Because I’ve enjoyed chestnuts since I was a boy, I was intrigued by the recipe and had to make it, even though I wasn’t quite sure how it would turn out. I had some reservations about how textures of the two main ingredients would come together. I’m happy to report that they came together wonderfully as did their flavors, especially when enhanced by the pecorino, fresh herbs, and lemon zest. Below is my adaptation of Arturi’s recipe, which had it source in Giovanni Coria’s book Sapori di Sicilia. I think that today’s post is a fine example of how the joy of discovery can be as exhilarating as the joy of cooking. 7 ounces store-bought peeled and cooked chestnuts. Usually vacuum-packed or bottled. 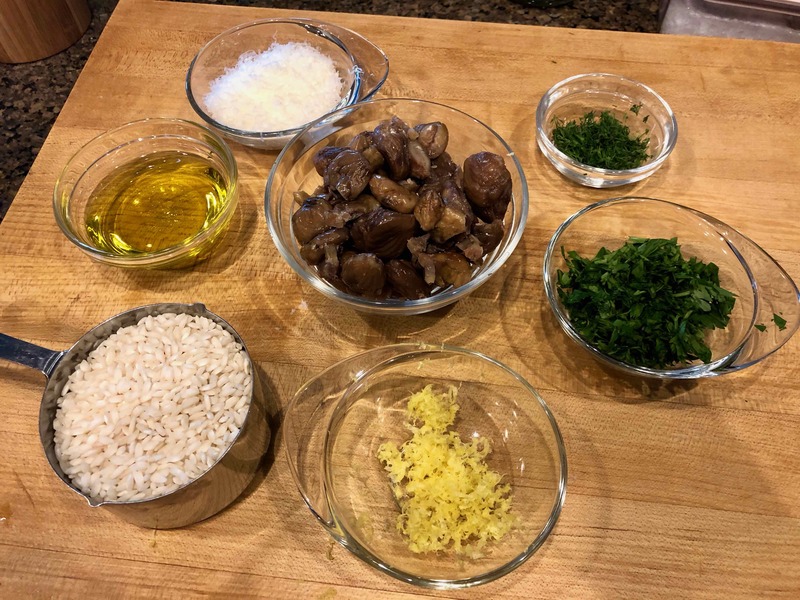 1 cup short-grained Italian rice, arborio, carnaroli, etc. 1. 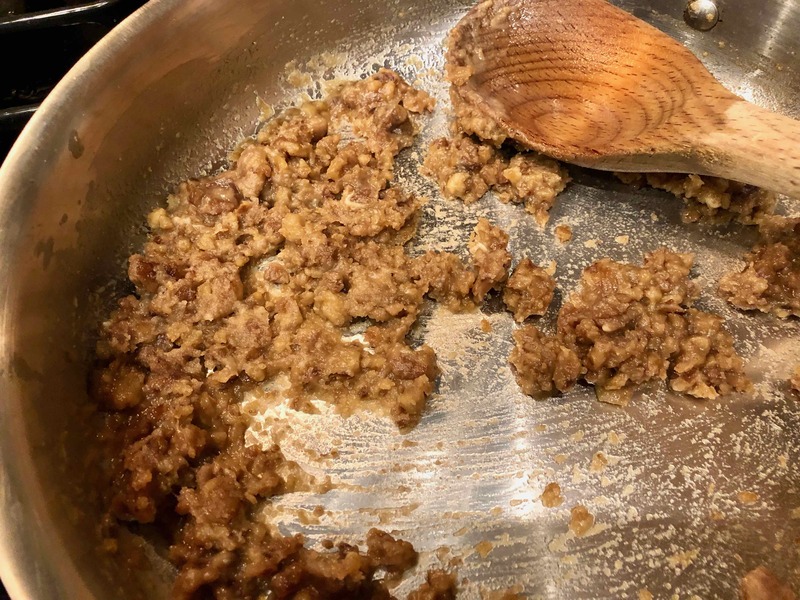 In a skillet, over low flame, simmer the chestnuts in about a cup of salted water for approximately 20 minutes or until they can be mashed easily with a fork. With a slotted spoon, remove them from the pan and reserve the water. 2. 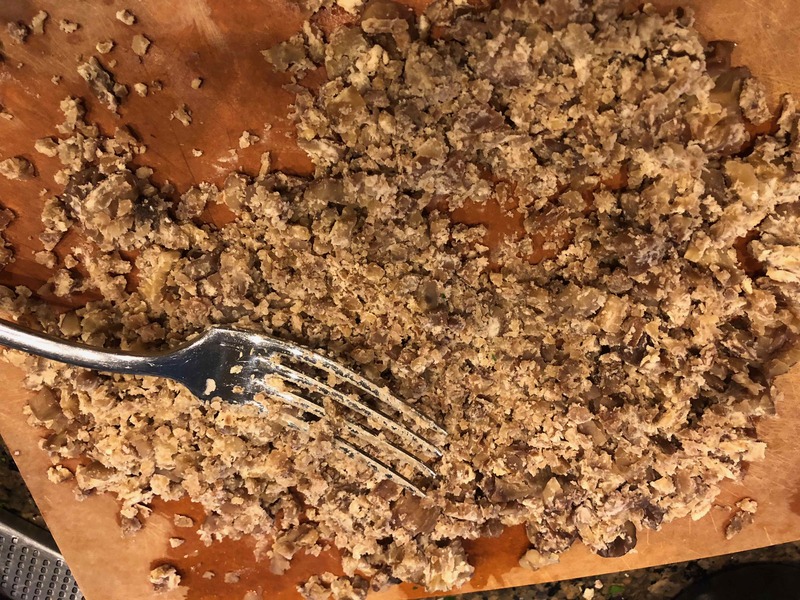 With a fork, coarsely mash the chestnuts and set aside. Be careful not to turn into a paste. 3. Bring 3 quarts of water to a boil, add 1 tablespoon of salt, and then the rice. Stir and then cover. Cook at a moderate but steady boil, until al dente, stirring occasionally. Approximately 15 to 20 minutes. Taste the rice now and then to avoid overcooking. 4. 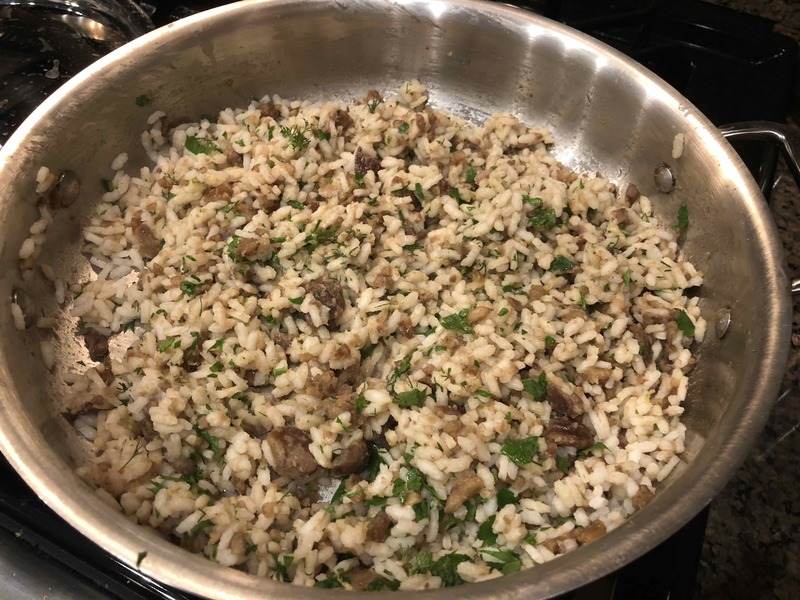 While the rice is cooking, heat the olive oil in a skillet and then add the mashed chestnuts, allowing them to absorb some of the oil. 5. Gradually add the pecorino, stirring with a fork, making sure the cheese doesn’t clump together. If too dry, add some of the reserved chestnut water. 6. When the rice is done, drain it, reserving some of the cooking water. 7. 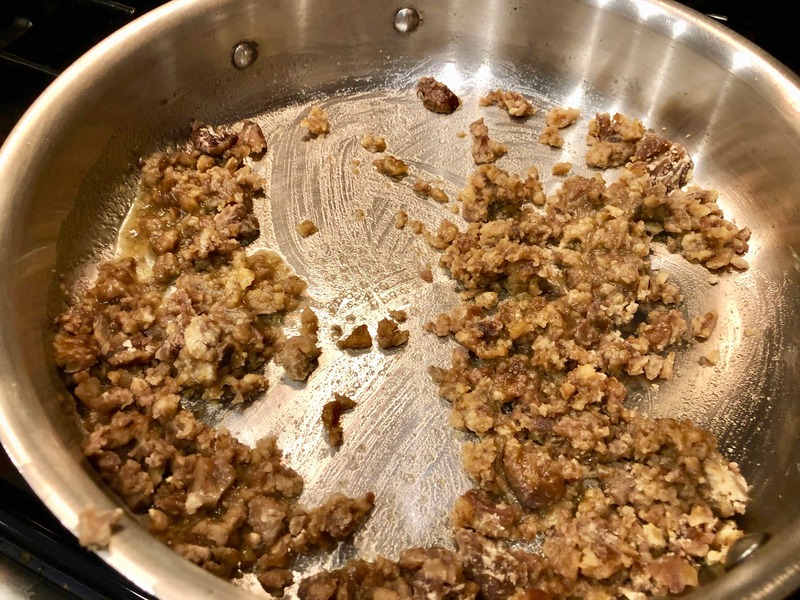 Add the drained rice to the chestnuts. 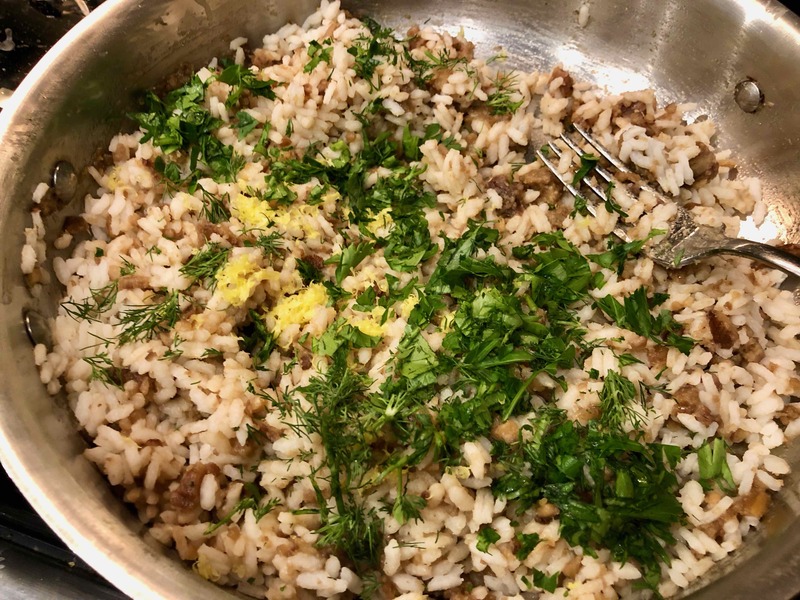 With a fork, mix to combine, adding the chopped dill, parsley, and lemon zest. If too dry, add some of the cooking water to loosen. 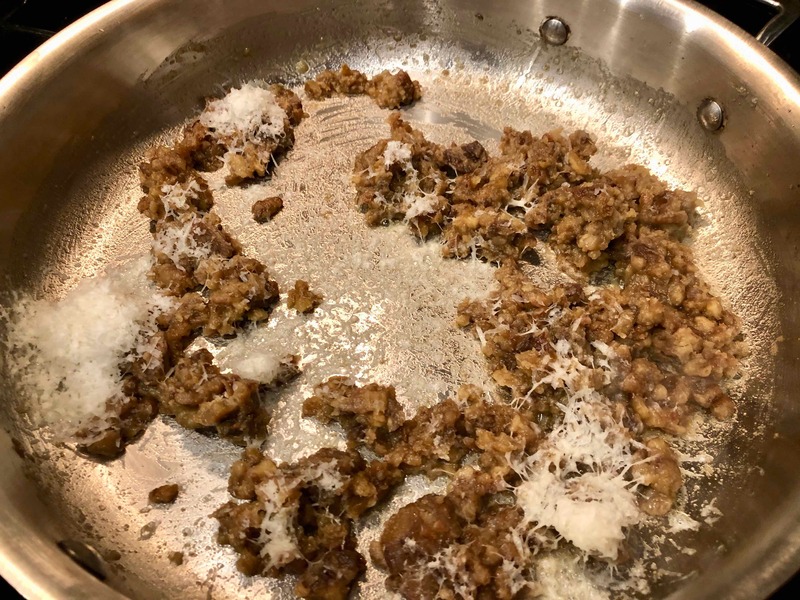 Serve immediately, with additional grated pecorino at the table. Oh, what fun it is to follow those threads. I love reading a blog (like yours) and coming across something that takes me on a journey. Marcella Hazan “Essentials of Classic Italian Cooking” is likely my Italian cooking bible and Stefano is a favorite food blogger of mine. Alas, we can’t do chestnuts but I did so enjoy cooking the dish vicariously with you in your post. Thanks for sharing. Thanks once again for your kind words and support. I think we both share a passion for what we do here. Thanks, Stefano. It was exactly as you described it.